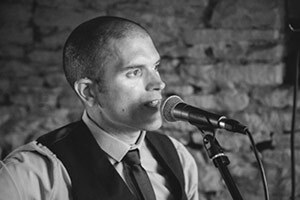 Best Wedding Singer / Guitarist? Vote for Pat in the Industry Awards! Exciting news… Some lovely folks were kind enough to nominate me in the upcoming 2017 Wedding Industry Awards, so I’m pleased to say that I’ve entered and voting is now open! You can find me on the Wedding Industry Awards Directory in the category ‘Wedding Musical Act (Solo, Duo or String Quartet). The Wedding Industry Awards are an independent body, showcasing the absolute crème de la crème of wedding suppliers, both regionally and nationally. They represent all types of businesses and are widely regarded as the most prestigious and influential awards in the wedding industry. I’m very proud that my services merit recognition and inclusion in these awards – wish me luck and I’ll let you know how I get on! Voting is now open – please bear in mind however that the only people eligible to vote are those whose wedding I played at between 24th October 2015 and 23rd October 2016. If that was you, and you want to vote, you can click the link below! Thanks to everyone that has already voted!